Unions are keeping up their campaign to warn coal miners and their employers about ‘black lung’. Five cases of ‘black lung’ have recently been diagnosed among Queensland miners, but the CFMEU has told reporters that it knows of another 40 workers that either could have black lung or have already died of it. The union says coal mines have greatly exceeded safe dust levels, and the “system” is letting miners down. All five of the miners recently diagnosed with the deadly condition had worked out of the Oaky Creek, Grasstree or Carborough coal mines. Their cases have led to a review of the Coal Mine Workers’ Health Scheme (CMWHS), which is set to include reinvestigation of previous individual x-rays. The CMWHS requires workers’ chests be x-rayed when they first start in the industry, every five years while they are working, and again when they leave the industry. Queensland mining minister Dr Anthony Lynham says inspectors will visit all 12 of Queensland’s major coal mines to dust and breathing issues. 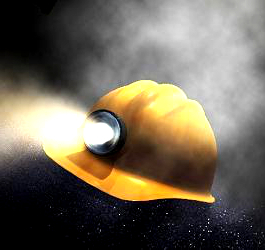 In the last 12 months alone, authorities have ordered eight mines to either improve coal dust monitoring or bring dust levels down to compliance levels. Meanwhile, the ANZ College of Radiologists has announced it will put together a register of radiologists to assist with an International Labor Organisation (ILO) classification of radiographs of pneumoconiosis. It may help ease concerns raised by the CFMEU that some Australian radiographers tasked with reviewing coal mine workers’ x-rays are not suitably qualified or experienced to recognise diseases like pneumoconiosis. The union says the most recent man diagnosed only found out when his scans were sent to the United States for examination. Professor Malcolm Sim from the Monash University Centre for Occupational and Environmental Health – who will be leading the CMWHS review – rejects the union’s claim. Dr Sim says there is a “well trained group of professionals in this country”, but that greater awareness of dust exposure issues is needed on site.